Lori Hairston: Be Mine Fur-Ever! Foxes. Foxes. Foxes. Are you tired of foxes? Well, I decided I am NOT tired of foxes. 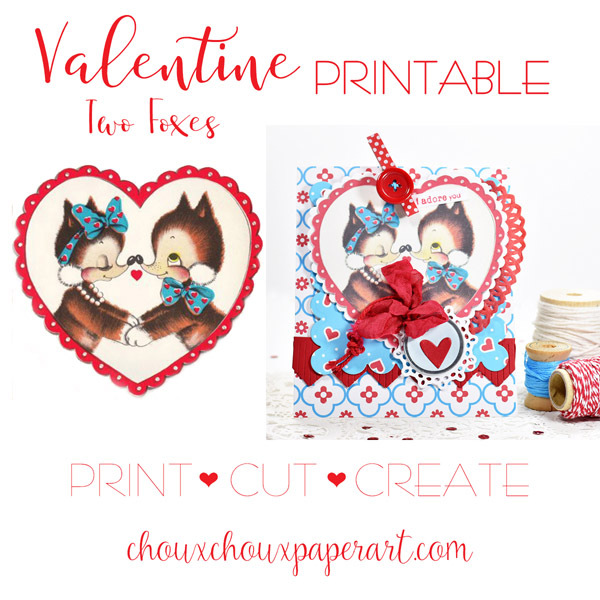 Especially when I have these two adorable fox valentines to give! This Fox is so sweet. Fun to color! What could be better than adding a chocolate bar? I must not be tired of this paper, either. You might remember it from the kitty valentine last week. I wrapped a hershey bar in white 28 lb Hammermill Copy Paper. The paper is nice, thick, and slick. It feels like nice wrapping paper. The ends are secured with some heart washi tape. Adorable. Foxes. 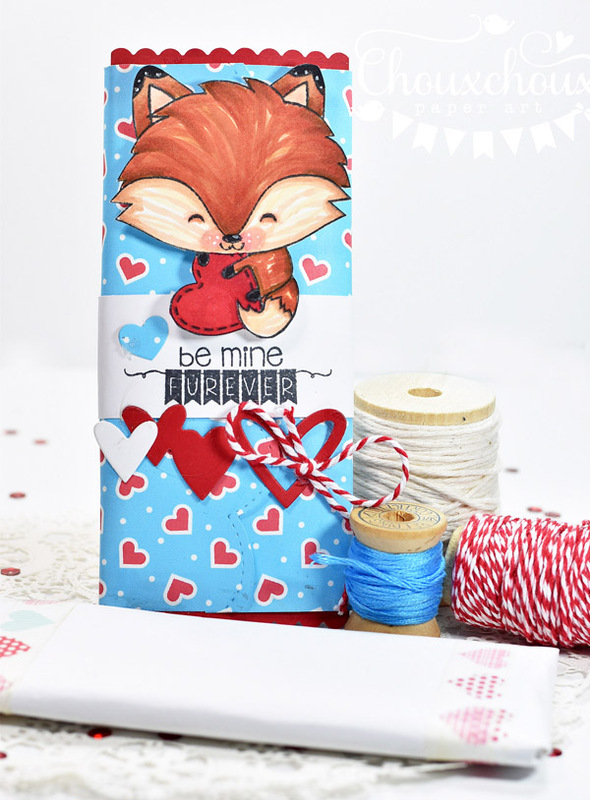 What could be better than having this fox valentine as a printable? You know what else I think is adorable: my baby granddaughter, Louisa! She is 3 months old today. I just got back from visiting. Do you remember the unicorn (and the cute unicorn tag) I gave her for Christmas? 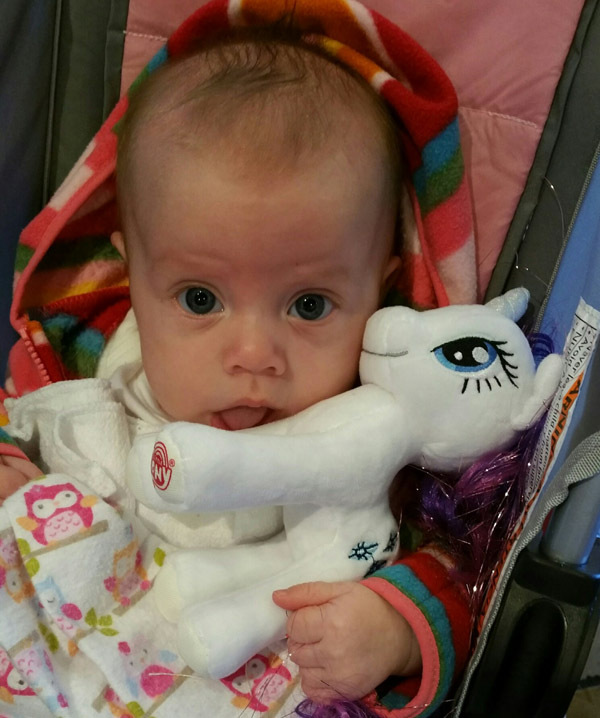 Here she is hanging on to the unicorn in her car seat on the way to Union Station. The unicorn ended up being the first thing that she's hung on to! The day before (again at lunch), she's in her stroller licking her unicorn like it's ice cream! Thank you for allowing me to indulge my grandma-itis for a moment. Download the Foxes Valentine HERE. So, are you feeling foxy? So glad you stopped by! Oh my goodness--Louisa is just adorable! So glad you're getting to see her frequently, Lori! Super cute Valentine & love the candy bar wrapper! You always add the sweetest details! These little foxies are adorable, love expecially how you coloured the first one and wrapping the chocolate is a great idea!! I'm not tired by foxies and by animals! I always love them! Cute valentines; but an even cuter adorable baby girl Louisa. She's darling. Oh, Louisa is absolutely precious!! Thanks for sharing the sweet photos! Grandma-itis is a great condition to have to share away!! Your Valentines are darling too! Those foxes are all so sweet! Super Valentine makes Lori but what adorable photos of Louisa. 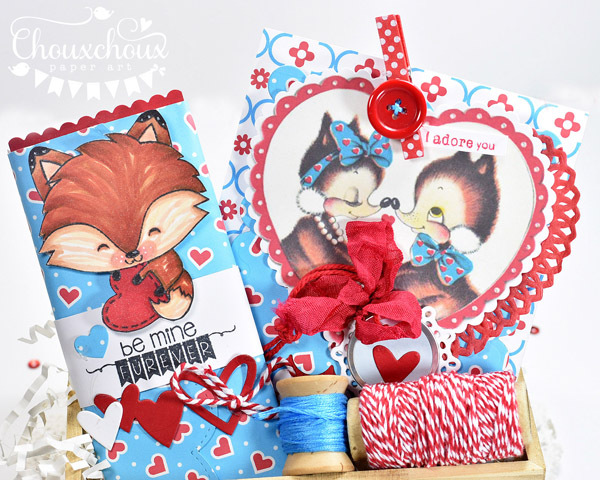 Cute and yummy fox Valentines, Lori! I never tire of foxes or any animals - they are just so cute! Thanks for the freebie! The cutest of all here today is that sweet little Louisa! Beautiful photos! I will never be tired of sweet little fox images, like these! Especially when YOU play with them! What uhhhhhdorable Valentine treats, Lori! And what an adorable GrandBaby, too!! 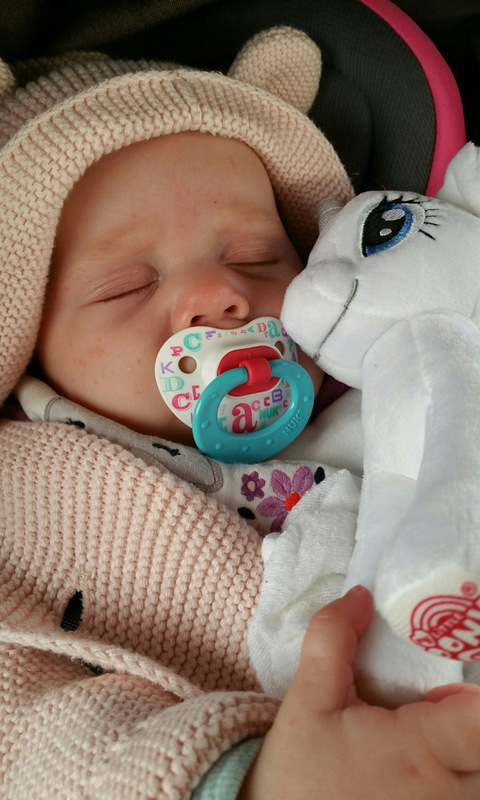 Louisa is SO sweet with her unicorn lovie!! That Louisa is a doll! And NO, NO, NO I am not tired of foxes!! :-) Precious image Lori. hugs! Everything you create Lori is so "Adorable" Love the sweet foxes..cute cute cute! Louisa is so sweet! Hope your enjoying a great week! hi Lori! cute foxes.. but cuter baby! what a sweet little thing! YOu know I'm all about indulging the grandma-itis thing! I can not contain mine. lol! have a great day! 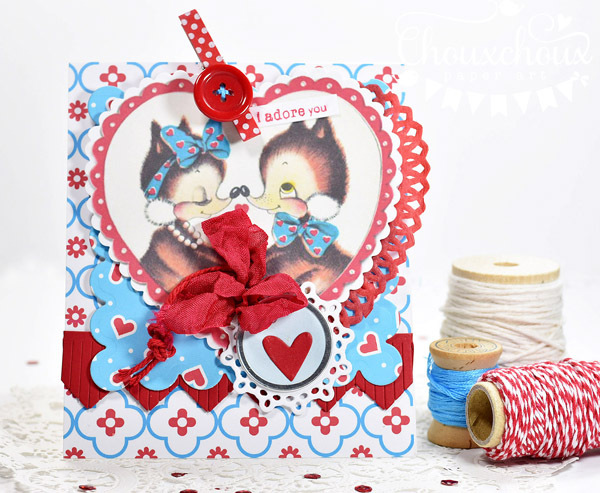 Such a sweet Valentine combo - love your creations. Louisa is a real cutie pie! Total CUTENESS!!! Louisa is just so precious - I don't blame you for wanting to share her adorable pics - How could you not! :) Your projects are just as cute as your grandbaby! LOVE foxes - so this is adorable! No... I am not tired of foxes and I am definitely not tired of baby pics... Made my morning!